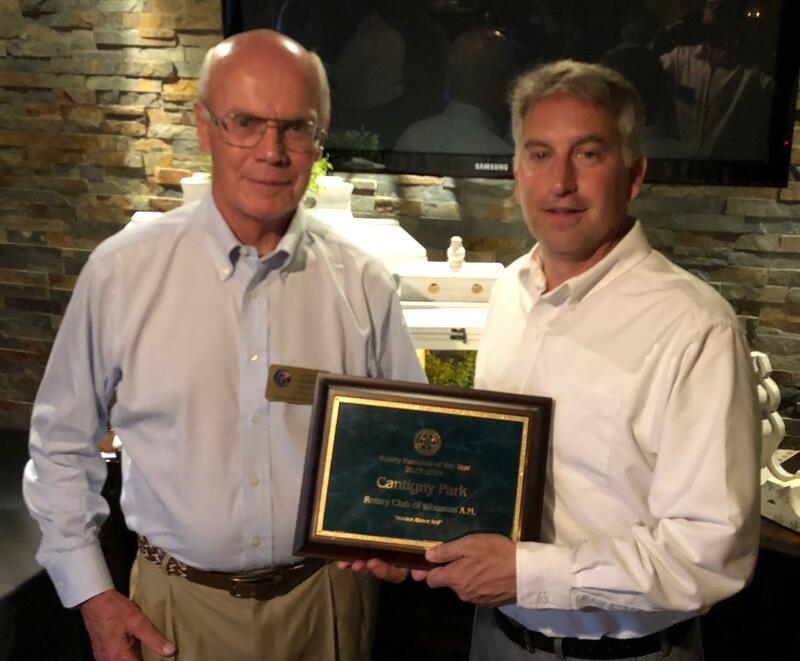 We hold this annual event to celebrate our accomplishments during the club year as well as to honor (1) those club members noteworthy for their exceptional service to Rotary, and (2) non-Rotarian community leaders and businesses for their contributions to the community. 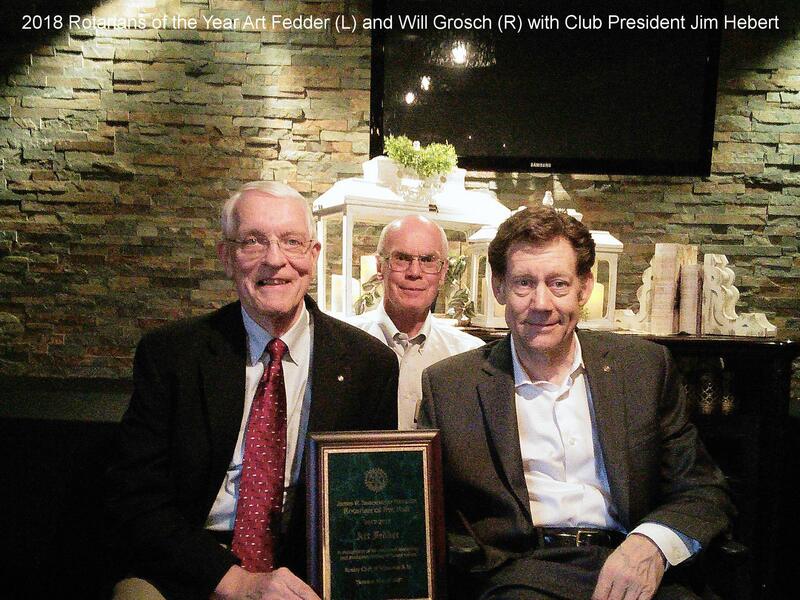 This year the Rotarian of the Year award recipients are Art Fedder and Will Grosch. This year the Business of the Year award was given to Cantigny Park. The Park is Wheaton's premier recreation and entertainment destination. More significantly, since the inception of the club, the Park has been our weekly meeting location, and has very generously supported our fund-raising events as well as those of many other community service organizations. Photo: Jim Hebert, club President (L) presents the award plaque to Matt Lafond, Executive Director, Cantigny Park.